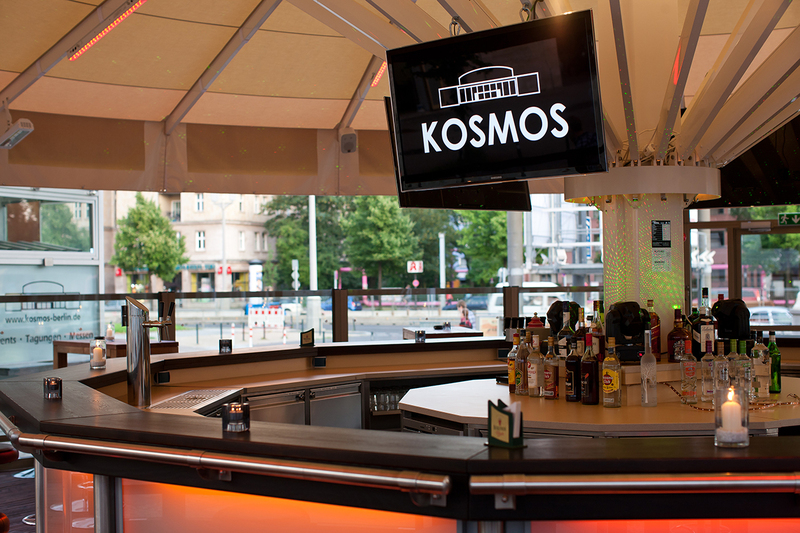 In the KOSMOS, you don’t only get to see your event shine, you also get highly visible advertising possibilities on the building’s facade. 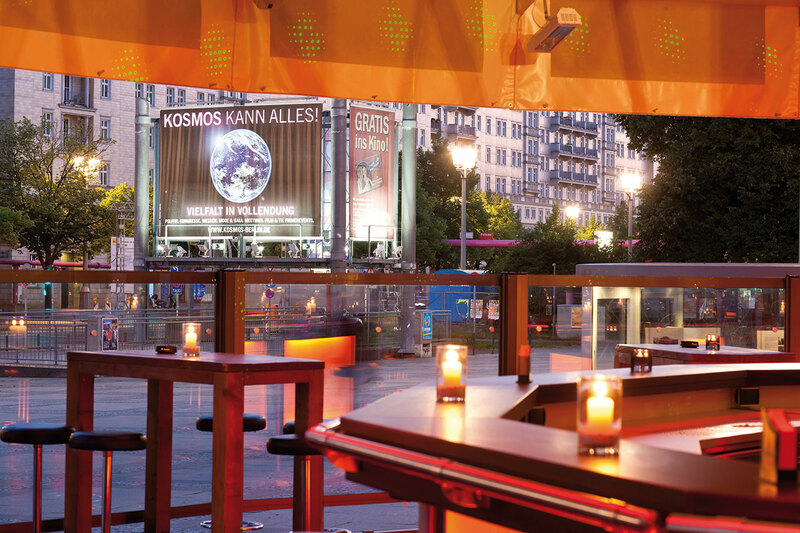 Two huge towers with 100 square metres of brightly lit advertising space directly onto the street guarantees you a good 10 seconds of contact per month with over 5 million passengers on the Karl-Marx-Allee. And don’t forget that there is almost no advertising competition, with the building ensembles on the Karl-Marx-Allee being listed buildings (due to their being some of the biggest uninterrupted frontal building facades around), which means that there is no advertising allowed.